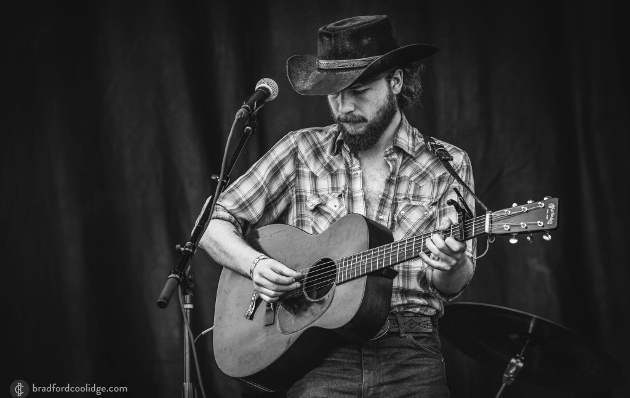 It’s hard to find a more compelling sound in country and roots music currently than when Canadian native Colter Wall opens his mouth and the ghosts of the characters he sings about come roaring to life inside your ears and mind. The young man who sounds like he’s in his sixties—and sings songs that sound even older than that—is gearing up for the release of his second full-length record Songs of The Plains on October 12th via Thirty Tigers Records, and he’s just released a well-apportioned list of new tour dates to accompany the new album. Along with big upcoming appearances at Pickathon August 3rd and 4th in Portland, and then at Cody Jinks’ Loud and Heavy Fest a couple of weeks later in Ft. Worth, Colter will be heading to The United Kingdom and Denmark, and then a stretch though his native Canada before hitting the United States hard and heavy throughout the fall and winter with shows in the South, Midwest, Northeast, Montana, Texas, and then back up the West Coast early next year. Originally from the small town of Swift Current, Saskatchewan, the 23-year-old has been compelling audiences since the release of his EP Imaginary Appalachia in 2015. Since then he’s built a strong following across country, folk, and roots circuits through his gripping original songs and stellar takes on traditional tunes. His upcoming record was produced by Dave Cobb, and features performances by legendary steel guitar player Lloyd Green, Mickey Raphael of Willie Nelson fame on harmonica, and an appearance by fellow Canadian country music singer Corb Lund. I’m surprised he’s playing a place as big as Irving Plaza, wow. I wonder if that’ll come close to selling out. That’s what I thought when I saw that he’ll be playing the 9:30 Club in DC. I think he’s gone straight from small clubs to the big rock club and skipped right over the midsized ones. I love the 9:30 club. U-Street Music Hall was packed last time he was in DC, and the previous show (at Songbyrd, a real small place) sold out pretty quickly. I am not surprised. And 9:30 is such a nice venue. Alas, I’ll probably be in Germany to see Neubauten when he’s here. So it seems like he’s jumped over places like The Rock and Roll Hotel, The Hamilton and The Birchmere. I think Tyler Childers played once at The Hotel and I saw Isbell and Sturgill when they played The Birchmere (once each only). The 9:30 Club is indeed a great place. I haven’t been there in a few years, but a couple of the most recent ones I saw there (Sturgill in 2015, Isbell and Holly Williams in 2014) were two of the best shows I’ve ever seen. Really want to see him in Missoula but Clutch is playing Spokane just a couple weeks before so I doubt I’ll be able to swing it. Spokane show added to the end right after Seattle would be cool. Love this guy. I listen to his album on repeat all the time. Can’t wait to see him again in Calgary. It’s hard to find shows coming through Canada so its nice to have guys like Corb and Colter who come through regularly. Awesome. Finally getting a good bunch of good ones coming out to Seattle. Indeed. Corb w/Reckless Kelly this week, Tyler Childers coming up and Stapleton/Marty Stuart/Brent Cobb killed it at White River last week. Is he still saddled with that battleship chain – fifty foot long and a two ton anchor? Solana Beach, CA? Alrighty, I guess I’ll have to drive down there.. Guess I’ll be driving to the Belly Up in Solana Beach CA (which is basically San Diego) as well since Colter isn’t coming to Phoenix (I’m actually in Yuma so it’s a three hour drive for me either way,still would like to see him play in Arizona either Phoenix or Tucson) how can a cowboy not come to Tucson 😛 heh man the new album coming out is great news,between Colter ,Tyler Childers,Sturgill Simpson Lydia Loveless and Nikki Lane my faith in real Country has been restored. Have you seen Tyler live? Curious how it was. I don’t see any Texas dates on the tour as mentioned in the article other than Loud and Heavy. He could squeeze one in between Columbia and Santa Fe. I would love to see him in Ft. Worth again. He is the real deal! ahh damn! no Oklahoma or Texas dates? 👎 He’s come here on both of his last tours. Hoping he ads more dates. I’ve seen Colter Wall twice and both show were incredible. Get to these shows, folks! Great to see he is coming to Madison! Two hour trip for me but will be well worth it! Any other Wisconsin fans out there? ?